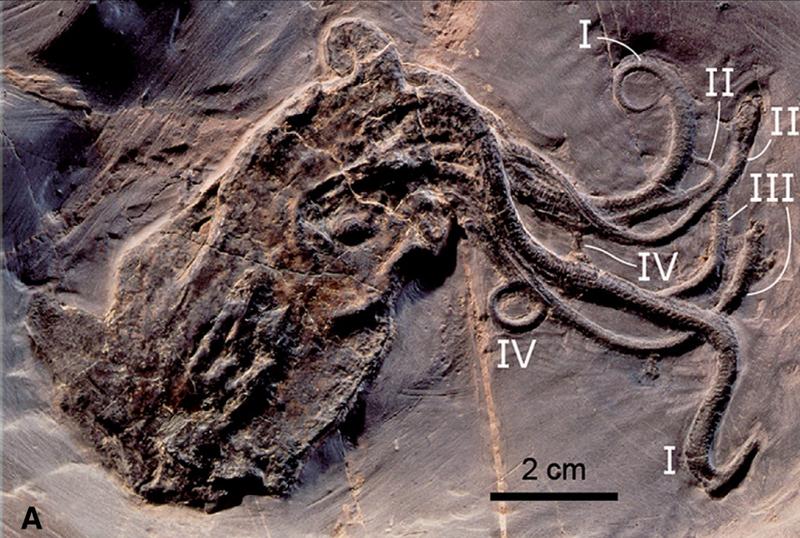 Last week, an [article] was published describing an old specimen that was hidden away in a museum collection at the University of Birmingham, United Kingdom. This specimen was of a baby ichthyosaur, only 70 cm long. Some different ichthyosaurs. From here. Ichthyosaurs were marine reptiles that lived during the Mesozoic Era. They had torpedo-shaped bodies, similar to modern dolphins and great white sharks. They came in all sorts of sizes and shapes! 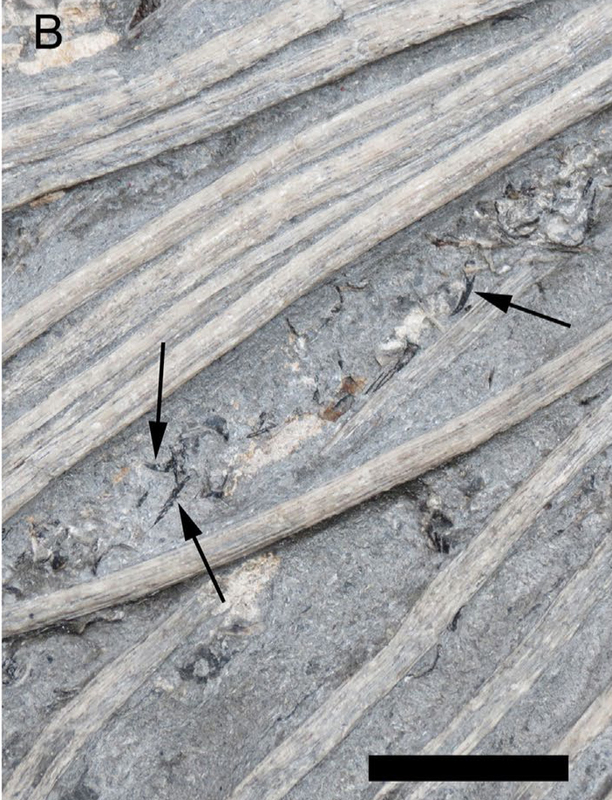 Figure 1 from the paper showing the ichthyosaur fossil. The authors know the specimen is a baby because some of its bones are still being developed and because of the proportions of the eyes and different bones in the skull. It was not found near an adult, so it wasn’t an embryo. This is the smallest specimen of Ichthyosaurus communis ever found! Figure 9b from the article showing the hooklets in the stomach (by the black arrows). The long grey bones are ribs. The interesting thing, though, is what they found in the stomach. 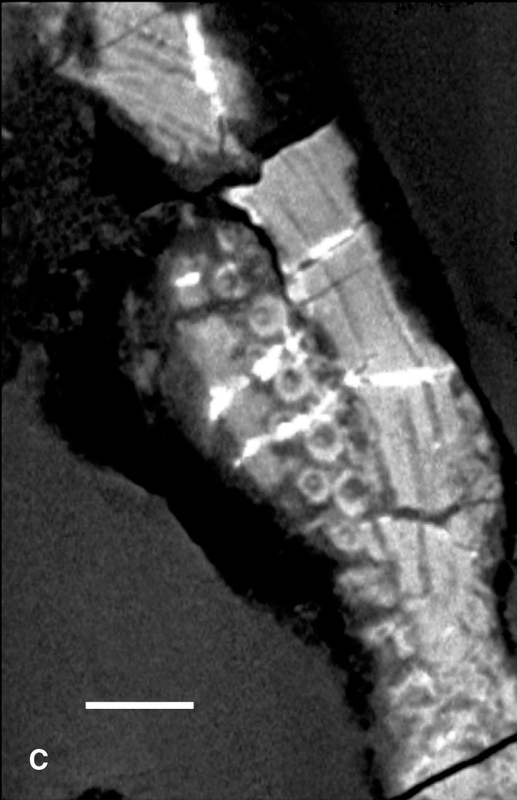 Inside the ribs, the authors found several cephalopod hooklets. 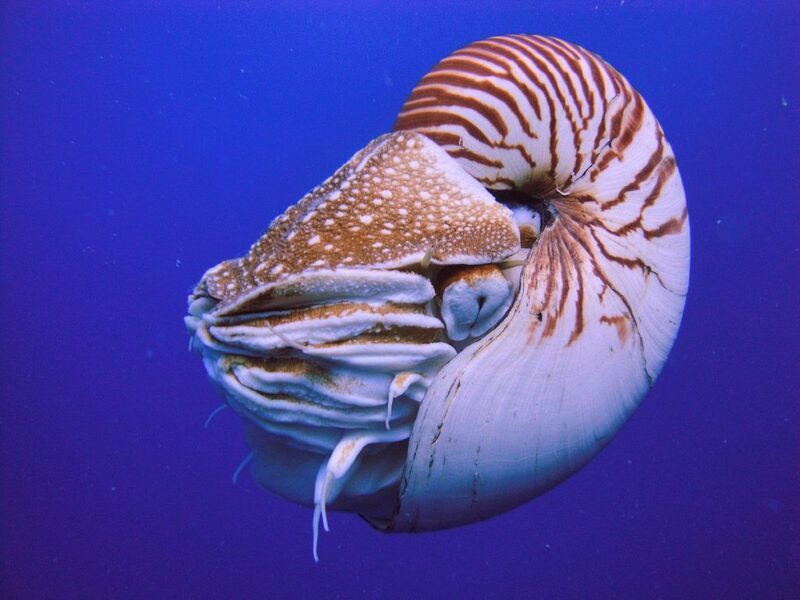 Remember, cephalopods are animals like octopus, squid, and nautilis. These hooklets are found on the underside of their tentacles, exactly where you’d find the suckers on an octopus arm. A comparison of suckers and hooks on two different cephalopods. From here and here. This indicates that the baby ichthyosaur was eating squid as its preferred food! 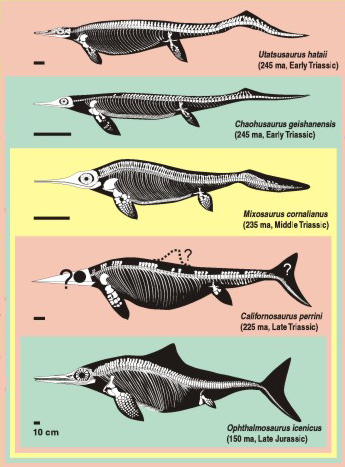 Other species of ichthyosaur ate mostly fish as babies and transitioned to eating cephalopods as adults. This baby specimen shows that Ichthyosaurus communis ate cephalopods as babies, giving us a more thorough view of the diets of ichthyosaurs through their lifetimes.